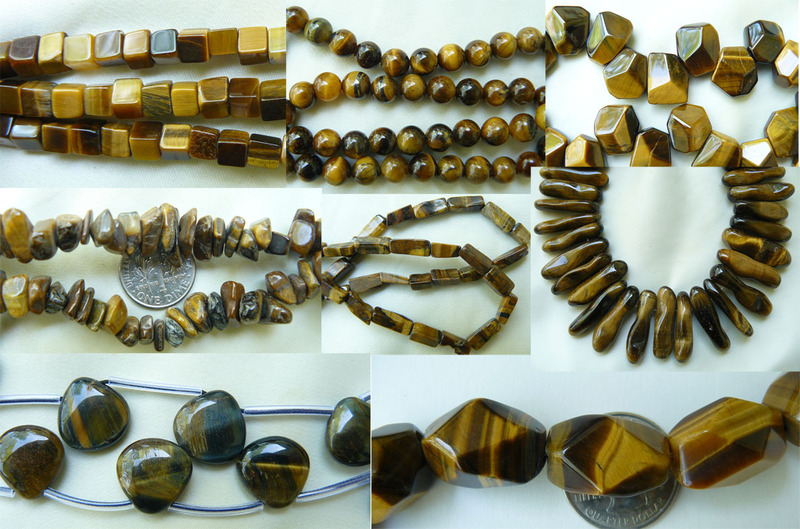 Tiger Eye and tiger Iron Beads - Round, Square, Chunky, Faceted etc. Home > -Gemstone Beads, Amber, Amethyst, Labradorite. Gem Beads From A to Z > Tiger Eye and tiger Iron Beads - Round, Square, Chunky, Faceted etc. Tiger Eye is a chatoyant stone with colors ranging from gold to dark brown. It is most notable for its silky lustre. Tiger eye is commonly found in South Africa and East Asia.